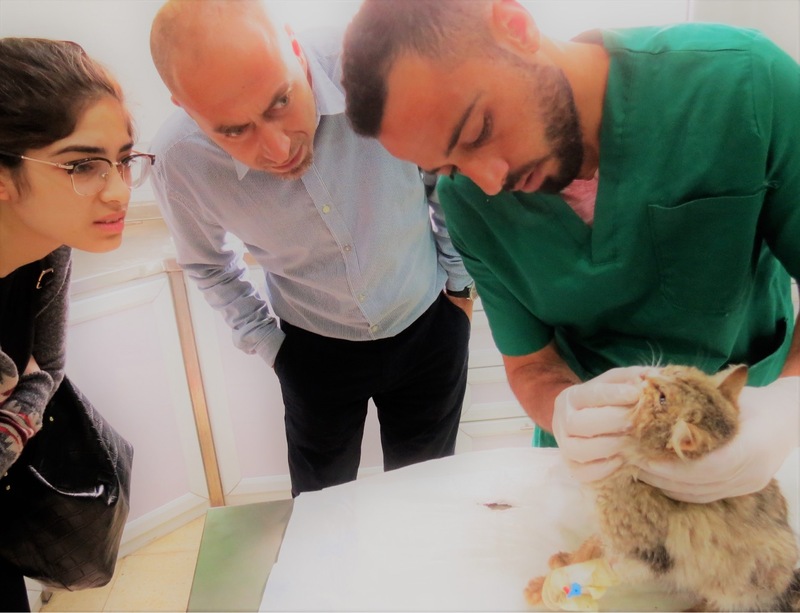 On a warm day in the town of Tulkarem, Al-Najah University Veterinary School suddenly found itself with a new patient with desperate needs. Flora, an injured street cat, was discovered by a student who rushed her to the veterinary offices. 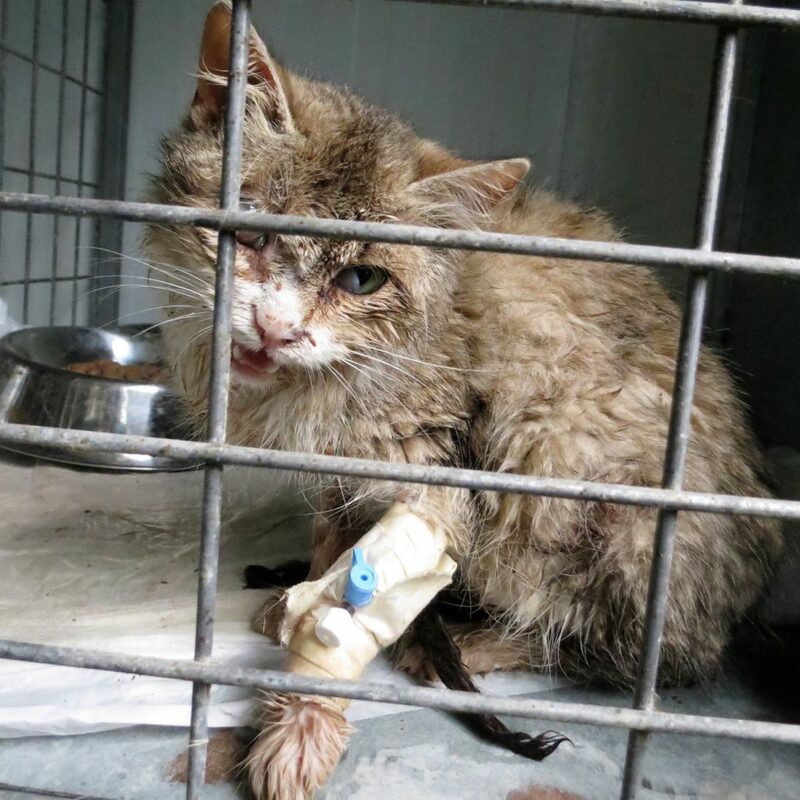 The young female cat was found to have a severe malnutrition, was blind in one eye, and had a cleft palate physical deformity which made eating and drinking a challenge her entire life. With no shelter or owner, Flora experienced a life of suffering, challenges, and danger. This all changed, however, the day that she was delivered to the Tulkarem Veterinary School. 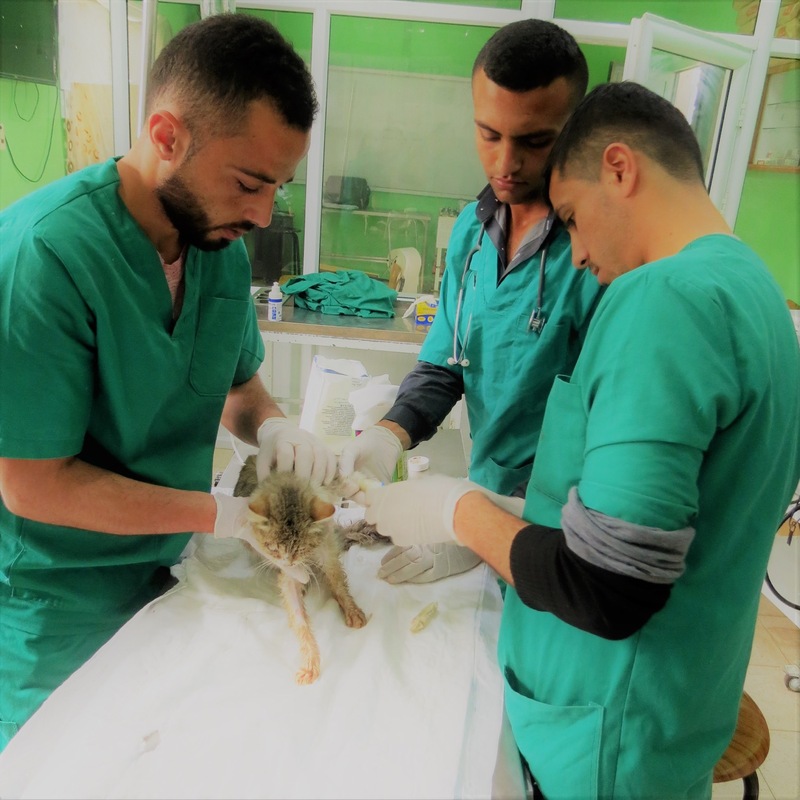 Thanks to donations and support from Palestinian Animal League, the Tulkarem Veterinary School is able to shelter Flora, operate to fully repair her cleft palate, surgically remove her blind eye, and provide her with daily nourishment and IV to restore her to health. All of these services were provided at no cost to the individual who found Flora.  Each day, Al-Najah University Veterinary School receives homeless animals who have been brought in their most dire moments. From homeless newborn kittens, to dogs who have been injured from lives on the streets, PAL works to makes sure that all animals get the best medical treatment possible. After several weeks at Al-Najah Veterinary School, Flora’s mouth has healed and she has become much stronger thanks to nutritious food and daily IV intake. The doctors are preparing to remove her blind eye this week and help her transition to full recovery. After feeling love and attention from the vet staff each day, Flora has blossomed into a sweet and social cat. In a few weeks Flora will be ready to leave the veterinary offices, but sadly has no home to go to. Without resources to facilitate an adoption shelter, Al-Najah Veterinary School may be forced to put Flora back on the street. PAL hopes to prevent that by finding Flora a loving forever-home that will take her in. If you are interested in adopting Flora or other homeless animals, or to make a donation allowing PAL to provide medical treatment to suffering animals, please send us an email at info@pal.ps .